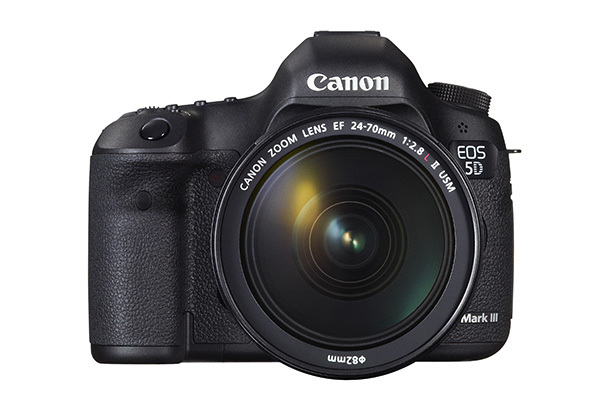 The Canon EOS 5D MkIII is the latest high quality, full-frame Canon DSLR. The first 5D still holds its own in terms of image quality, so its younger sibling must be something very special. We put it to the test. The battle at the semi-pro DSLR end of the market is really heating up, thanks in part to the arrival of Canon’s long-awaited EOS 5D MkIII. The latest model in a line of incredibly popular premium cameras sports a 22.3MP CMOS sensor powered by the new DIGIC 5+ processor, which is claimed to be 17x faster than the DIGIC 4. 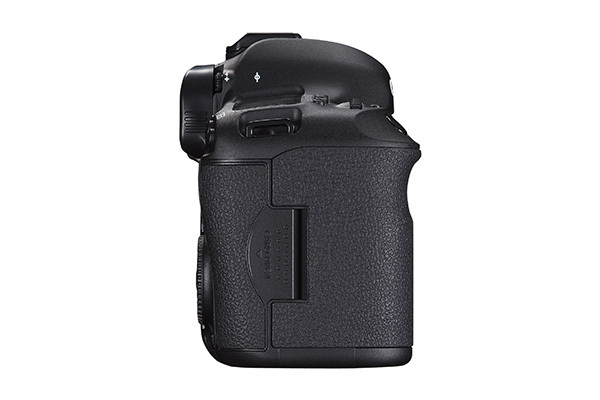 This is ideal when you consider that this DSLR is designed for high quality stills photography and professional HD movie-making. It appears Canon has been listening to customers when developing a range of features and functions to address issues with older 5D models, and of course bring new ones to the table. When you hold the MkIII in the hand it feels solid, with all the direct access buttons where you’d expect them to be. Owners of the previous 5Ds will feel very much at home here. The shutter/mirror is quite clunky like previous models, but there is now a Quiet mode that reduces shutter sound. However, be aware that it also reduces frame rate when shooting continuously. The grip is very comfortable and overall the MkIII feels of a higher quality than the older models. The body itself is made of magnesium alloy with a tough dust and drip-proof shell. The MkIII also enjoys weather-sealing equivalent to the EOS-1N, which Canon claims to be the benchmark for camera weather-sealing. New features are plentiful and there are several that really stand out as being extremely useful for improving the image-taking experience. In-camera HDR is now possible, along with in-camera RAW processing and multiple exposures. But one of the most impressive new features has to be the in-camera lens correction of Canon EF lenses, which focuses on three areas of distortion. Chromatic aberration correction takes care of the coloured fringing that occurs when lenses fail to focus on different colours on the same focal plane. Peripheral illumination correction deals with light fall-off towards the edges of the frame, which is most obvious when shooting with wide apertures. And distortion correction can be applied during playback to fix barrel and pincushion distortion. This feature has to be a good thing if it removes the need to apply lens correction during post-processing, and you’d certainly expect Canon to know its own lenses better than anyone. Thinking about new features more in terms of image playback, there are some gems here that certainly won’t leave you disappointed. When reviewing photos on the back of the camera, the 3.2in Clear View II LCD displays clear and sharp images at approximately 100%. It’s even possible to rate shots as you view them, and these ratings are applied to the EXIF data, ready for when you download images to the computer – a great time-saving feature. This and other features are all accessed via the useful Quick Menu button next to the right of the LCD. The 5D MkIII addresses many of the deficiencies of the MkII to provide a much more professional experience. First and foremost the 5D and 5D MkII had a pitiful nine focus points in the central area of the frame. This has now been extended to a respectable 61 single points across a wider central area, with 41 cross-type AF points. This can make a huge difference when photographing any subject, from landscapes to portraits to motorsport and beyond. And autofocus proved generally very fast and reliable across a number of Canon lenses we tested it with. Another area that has seen a remarkable improvement is ISO sensitivity and noise response. The MkIII has a standard ISO range of 100-25,600, which is expandable to an impressive 50-102,400. The real improvement in this area is noise response, and shots taken at ISO 3200 look very good. There is a slight drop-off as settings are increased, but image quality remains very good even at ISO 12,800. This is one of the areas where Canon has been flagging, so it’s good to see such a drastic improvement here. The 5D MkIII offers limited RAW processing in-camera for those times when you need a JPEG version of a RAW file quickly and don’t have time to get to a computer. Adjustments can be made to brightness, Picture style, white balance, Auto Lighting Optimizer, colour space and noise reduction. The amount to which you can adjust settings is limited compared to a computer-based RAW converter, but what you do have is perfectly adequate. Adjusted RAW files can then be saved as JPEGs on the same memory card. Both RAWs and JPEGs can be resized and saved. New versions of images are saved alongside the original, so nothing is lost or overwritten. And the overall process is quick and easy thanks to intuitive controls in the RAW image processing section of the Quick Menu. 5D owners may well have felt that the MkII didn’t really do enough to grab their attention because it didn’t address enough of its older sibling’s deficiencies. The increased resolution was attractive, but again not enough on its own. The MkIII, however, does just that, with improved handling, an impressive range of new features and fantastic image quality. This is a DSLR that will appeal to enthusiasts and professionals alike, including filmmakers, thanks to controls designed to cater to all users. With the introduction of the 5D MkII there was very little movement from the price point of the MkI, but this time we see a significant leap in price. At the time of posting this review the body-only price of the MkIII was £3000, which indicates a serious investment. However, if you own a collection of Canon lenses this is definitely a worthwhile upgrade. APS-C users looking for an upgrade won’t be disappointed either.